More than 60% of patients with cancer are age 65 and over. Despite the relatively high prevalence of cancer in older adults, there is a gap in knowledge about the safest and most effective cancer treatments for patients in this age group. 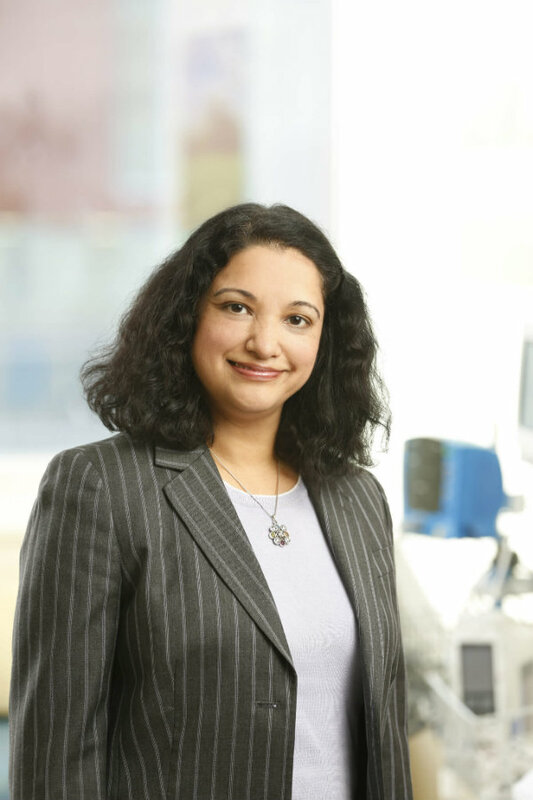 In this interview, Supriya G. Mohile, M.D., who directs the Geriatric Oncology Research Program at the University of Rochester’s James Wilmot Cancer Institute, discusses the unique issues experienced by older adults with cancer and the recent publication of guidelines on incorporating geriatric assessment into patient care. What unique challenges do older people with cancer face? Most cancer patients in the United States are older than 65. Older patients also have the highest mortality from cancer. Nevertheless, there has not been as much of a focus on effectively managing their care as there should be. So, these patients face a lot of challenges. First, there is a lack of safety and efficacy data on treating older patients, because they are typically not well represented in clinical trials. For example, oncology is moving toward targeted therapies, and these treatments tend to have different side effects than traditional chemotherapy. Some of these side effects, such as cardiotoxicity, can be more dangerous for many older adults with cancer. This creates problems when treating older patients, because there just isn’t enough data to support the safety of many of these new treatments in older patients, especially those age 75 and over. Second, older patients tend to have other medical problems in addition to their cancer—not just other health conditions, or comorbidities, but also disabilities, including cognitive, physical, and functional disabilities. Disabilities are important to outcomes because they are associated with increased toxicity from treatment and early mortality. And many oncologists, surgeons, and primary care doctors who care for older adults aren’t sufficiently trained in assessing disability and how a disability may affect the efficacy and safety of a particular cancer treatment. Third is access to care, especially for those older patients who are frail or have difficulty getting to appointments. Older patients also often have difficulty with care coordination, managing their medicine, or even their ability to be safe at home during treatment. What is unique about the caregiver experience of older cancer patients? Caregivers are often the patient’s children who are working, or spouses who are also older with their own medical issues. These factors can make care management even more complex. In an ongoing clinical trial—funded by NCI’s Community Oncology Research Program (NCORP) and the Patient-Centered Outcomes Research Institute (PCORI)—that is testing incorporating geriatric assessments into clinical practice, we’re also enrolling patients’ caregivers. Most are spouses and many also have comorbidities and high levels of distress, which we found to be common among caregivers of this age group. In fact, caregivers often report more distress than the patients themselves. We also found that the caregivers rarely tell doctors that they are overwhelmed because they really take pride in caring for their loved one. Oncologists must often read between the lines to see how stressed caregivers are. It can be helpful for clinicians to ask the caregivers, “how are you doing?” or “how can we help you?” when they suspect the patient’s medical status is weighing heavily on them. Unfortunately, we don’t have many caregiver interventions we can offer. The few in existence, such as cognitive behavioral therapy, are often not paid for by insurance. Caregivers, especially those of older patients with cancer, have a lot of unmet needs and through this trial we hope we can begin to identify possible solutions. What is a geriatric assessment? What’s being done to encourage more physicians to use them? The geriatric assessment helps providers collect information about comorbidities and disabilities that are not otherwise captured in routine oncological care. It’s intended to assist with the prediction of toxicity from treatments and their impact on outcomes for older adults. Robust data now support geriatric assessment in the care delivery for older patients with cancer. In fact, the Practical Assessment and Management of Vulnerabilities in Older Patients Receiving Chemotherapy Guidelines from the American Society of Clinical Oncology (ASCO) recommend performing a geriatric assessment for every older adult with cancer receiving chemotherapy. However, there is a lot of work still to be done with how the geriatric assessment is implemented in clinical practice. One is informing policy, including working with ASCO to develop these new guidelines. The second is to better integrate geriatric assessment into standard oncology practice. In our NCORP and PCORI-funded trial and a similar trial, we have found that oncology teams can effectively perform this assessment and that it’s feasible to do so in everyday practice. We are also trying to encourage oncology practices to incorporate a geriatric assessment into electronic medical records to make it even more seamless in practice. What is the SOCARE Clinic at Wilmot? The Specialized Oncology Care and Research for the Elderly, or SOCARE, is one of the first multi-disciplinary geriatric cancer clinics in the United States. I helped start SOCARE at the University of Rochester to provide direct geriatric assessment consultations. These consultations can be with primary care physicians or oncologists or others who have older patients with cancer and want us to help identify risks and communicate treatment options to the patient. We started the clinic in 2011 in collaboration with the University of Chicago, which also opened a parallel clinic led by Dr. William Dale. All data from these clinics are collected and assembled in a registry, which allows us to look at things like treatment challenges, barriers, and outcomes from more than 1,000 patients. The Rochester clinic now has four geriatric oncology faculty and an active fellowship program; it also includes input from a dietician, occupational therapist, physical therapist, social worker, and others. Collectively, the team makes recommendations—guided by the geriatric assessment—for the doctors, patients, and caregivers who request our help. 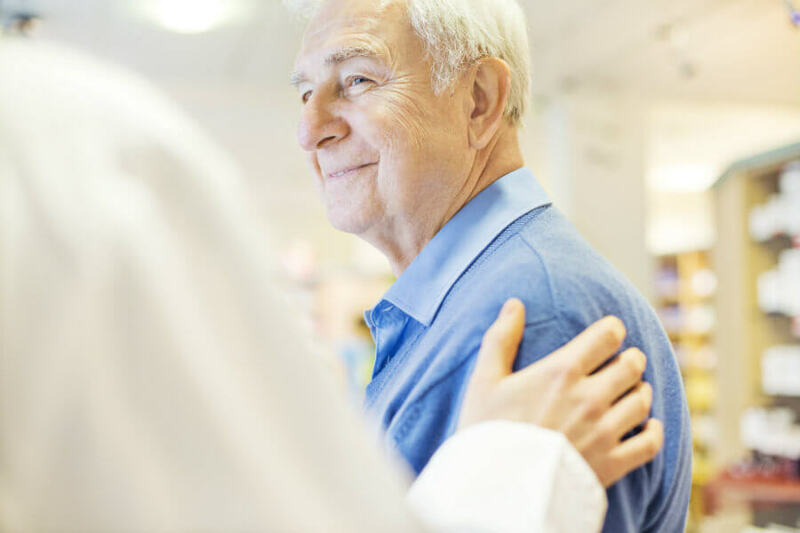 There are not currently enough clinics and groups like SOCARE throughout the country, which is why it is so important for all oncologists to be trained in using the geriatric assessment. What is a toxicity prediction tool and how is it used? Two chemotherapy prediction models are included in the ASCO guidelines, and we recommend that at least one of these models is used during decision making for chemotherapy for older patients with cancer. The Cancer and Aging Research Group’s (CARG) toxicity tool consists of 12 very simple questions, half of which address clinical variables routinely captured in oncology care and half of which address variables captured in the geriatric assessment. This tool creates a score that estimates the chemotherapy toxicity for the patient. It is intended to help guide discussions and show patients data that demonstrates their risk of toxicity in a way that they can easily understand. The other tool is the Chemotherapy Risk-Assessment Scale for High-Age Patients (CRASH) score, which is more like a geriatric assessment, so it takes longer. Both are available on the web. As a standard approach in our SOCARE clinic, we do one of these toxicity risk calculations for every patient being considered for chemotherapy treatment. What efforts are underway to encourage more oncologists to specialize in geriatric oncology? Geriatrics is actually one of the fastest growing fields of medicine in the United States in general, so there is already increasing interest. Geriatric oncology does require a different kind of training, which includes an American Board of Internal Medicine accredited geriatric oncology fellowship. The number of people being trained now is growing because they know this field is important and is becoming much more popular at meetings like ASCO and others. I still don’t think there are going to be enough geriatric oncologists to meet the future demand. So what needs to happen next is to integrate geriatric training throughout all oncology fellowships, so that every oncologist coming out of their fellowships know the importance of appropriate care management for older adults and how to do geriatric assessment.